Believe us it is just a fake to disrepute the Indian legendry freedom fighter and to circulate something in media which is of no use. This story was widely circulated on social networks, claiming that Bhagat Singh, the Indian freedom fighter was hanged on Valentine’s day, 14.02.1931 at Lahore. 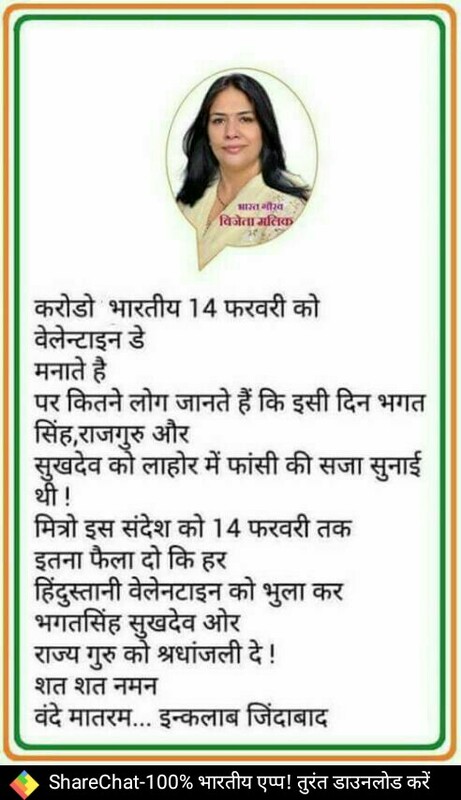 The story also appeals to the people that 14th Feb is not just significant as Valentine’s day, the day Bhagat singh was hanged, and we should pay due respect to the Indian legendary freedom fighter as well. The story however, is a mis-interpretation of the freedom fighter Bhagat Singh’s biography. He was arrested after the consequences of 1929 Assembly bomb throwing incident, Hunger strike and Lahore conspiracy case. The British Fearing his revolutionary agitation, the then Viceroy Lord Irwin set up a special tribunal called Privy Council to speed up his trail process. An Indian defence committee in Punjab appealed against the Privy Council, which was again dismissed by the Judge Viscount Dunedin. After the rejection, the then Congress party president Madan Mohan Malviya filed a mercy appeal before Lord Irwin on 14 February 1931, but even that did not work, and Bhagat Singh was hanged on 23 March 1931 at 7:30 pm in Lahore jail along with his fellow freedom fighters Rajguru and Sukhdev. 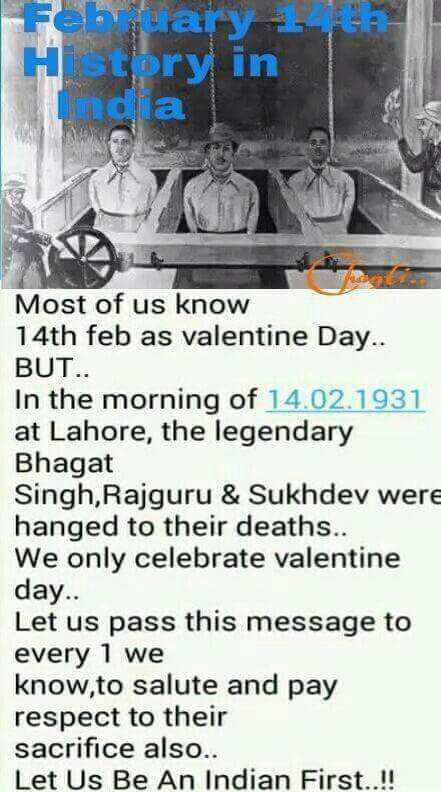 Facts check: The story claiming Bhagat Singh was hanged on 14th feb, on the so called Valentine’s day is a hoax.